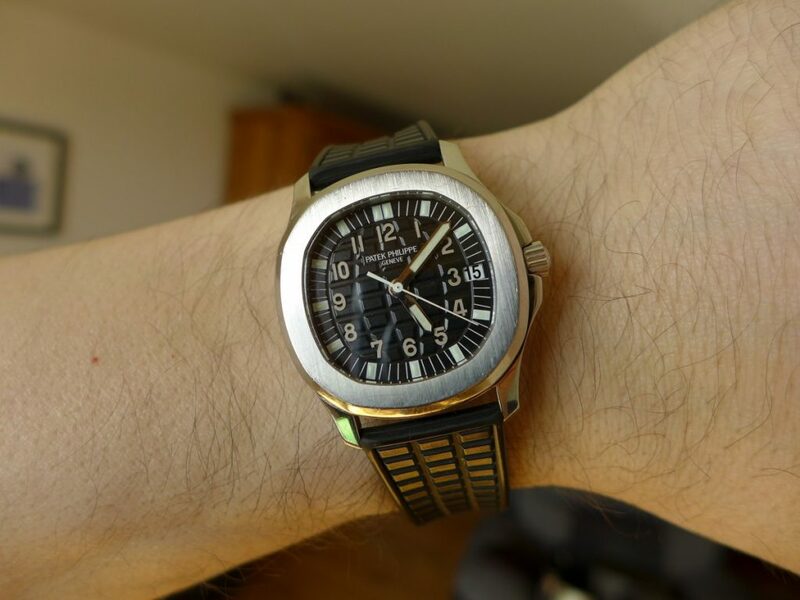 Hands on with the Patek Philippe Aquanaut reference 5066A- 001, The Aquanaut watch was launched in 1997 and in 2007 the collection celebrated 10 years of existence with the creation of a new model available in two sizes 38mm and 40mm the updated 5165 was released. 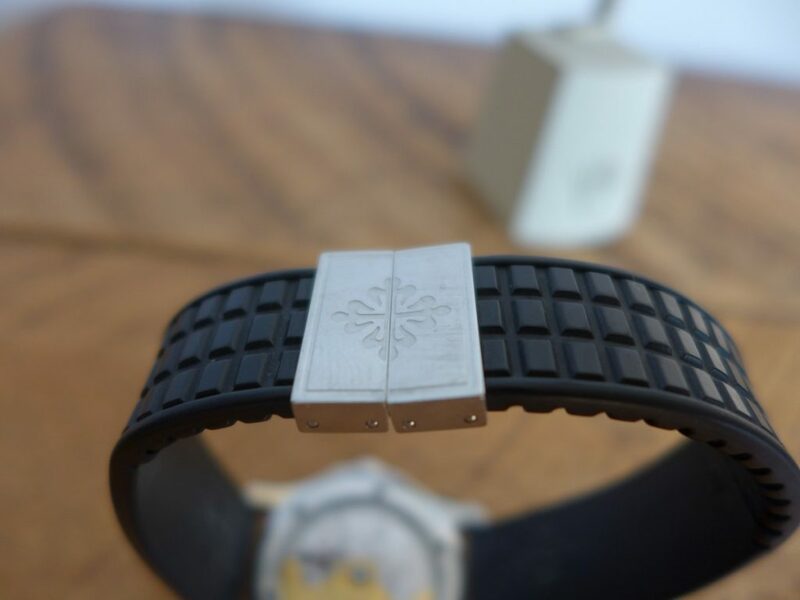 This model boasted a “tropical strap” featuring a fold over clasp guaranteed utmost security on the wrist. The changes on the profile and dial slightly modified to underline the dynamic and technical spirit of the watch (Patek Philippe Quote). The Aquanaut is a blend of brushed and polished steel very slim not too bulky in anyway on a rubber strap for the rugged look. 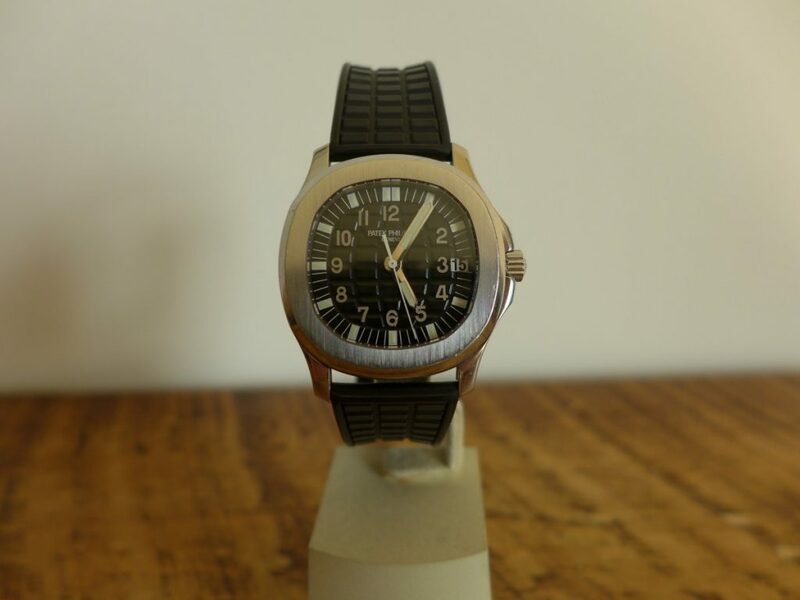 Back to my Aquanaut I have 5066A is the discontinued version wears well as a casual watch from Patek Philippe a lot of their models are very nice but not the casual look or feel at all. 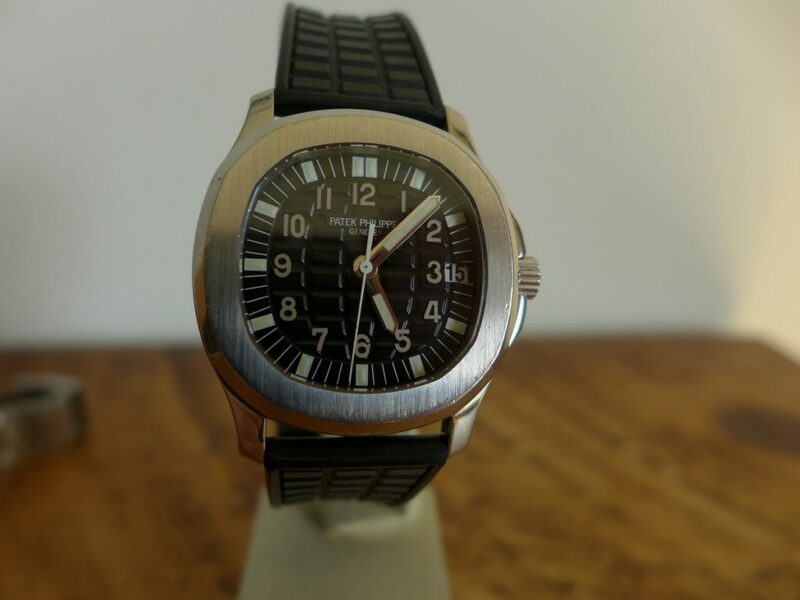 The Aquanaut definitely is a fantastic everyday watch not every day price thou. The movement is Mechanical self winding with date Cal 330. 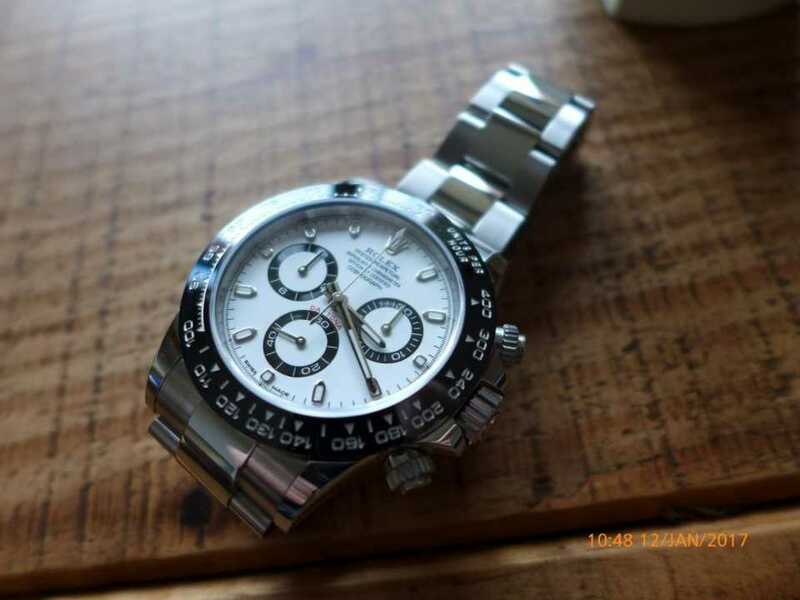 30 jewels The Arabic numbers on the dial, screw down crown, watch is water resistant to 60 metres so good enough for a divers watch, but the newer version is 120 metres water resistant. I got to say the movement is stunning through the caseback, Patek Philippe watches are a serious piece of kit just out of reach for most people. Patek Philippe have a long standing history of watch making dating back years so great heritage owning one of their range. 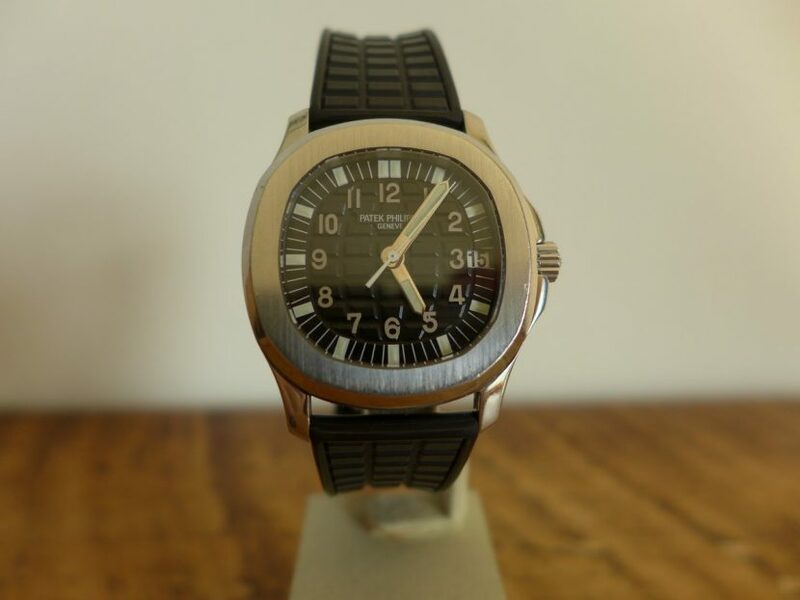 The aquanaut is definitely one to wear and love everyday and is at the bottom end of the Patek Philippe secondhand market for a sporty look as some of their range run into millions. 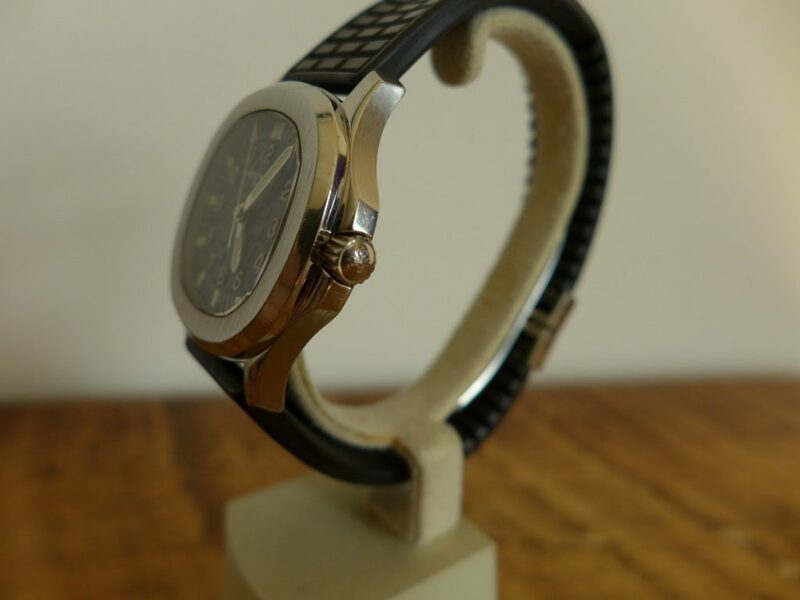 Patek have some of the most expensive watches that ever went under the hammer, $24,000,000 dollars is current record for the Henry graves super complication that has been up again recently for sale but did not sell.